* Silver Finish UPR's newest suspension upgrade is our Billet Maximum Rear Coil Over Kit with Springs for your 1979-2004 Ford Mustang. Features a one of a kind O-ring design that keeps the coil over sleeve tight on the shock body to keep it from moving around and making noise. Huge range of adjustment so you can fit the tallest slicks possible while retaining the stock shock location. 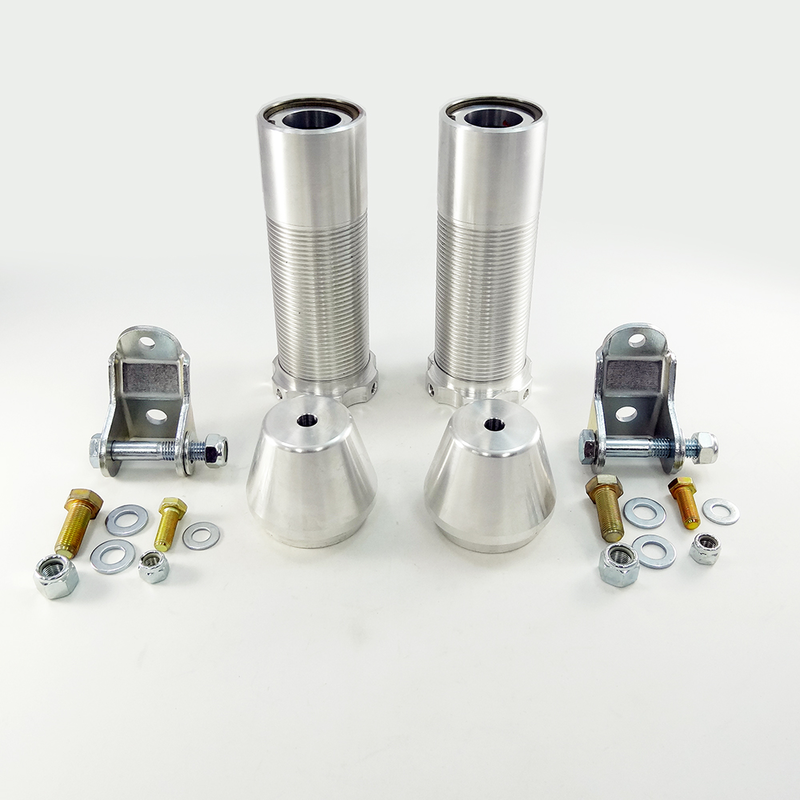 Bolts up into the factory location and includes replacement lower shock mounts with our heavy duty mounts designed to handle the weight of the car. Quality Construction: CNC Machined from Billet Aluminum and designed to fit Strange 10 way adjustable, QA1 or Lakewood rear shocks (will not fit stock shocks). Unlike the Overpriced Rear Coil over Kits these kits are machined ISO standards. No one else gives you the bold clean styling of our Aftermarket Dress Ups, Suspension and Performance Parts for your American Muscle Car like UPR Products! Installs in 1 hours or less. Requires removal of dust boot and dust shield, easily done with basic hand tools. See instructions for details. Fits these Vehicles: 1979 1980 1981 1982 1983 1984 1985 1986 1987 1988 1989 1990 1991 1992 1993 1994 1995 1996 1997 1998 1999 2000 2001 2002 2003* 2004* GT V8 Cobra Mustang Roush & Saleen Vehicles. * Does not fit Cobra with factory IRS. Made in the USA!